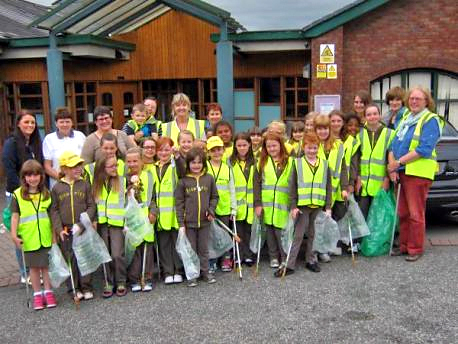 MIDDLEWICH Clean Team set out on another litter pick to keep the town tidy with the help of Cledford Brownies. The Clean Team and the Brownies met up on Monday, 14th July and spent time litter picking around the canal side and St Michael and All Angels church yard. All 24 members of the brownies took part in the litter pick and were accompanied by five brownie leaders and five members of the clean team. Maxine Hemmings, Clean Team treasurer, said, "After the litter pick Janet asked the Brownies how they felt with regard to a clean and tidy environment and litter picking. They said it made them happy and made them smile, made them feel safe, and that it was fun." Middlewich Clean Team has received a grant of £3,500 from the Big Lottery to buy new equipment, including computer and presentation equipment which will be used to help them to set up new litter picking groups throughout the Country. Vice-Chairman and Grants Officer Stephen Dent said, "We are frequently asked to give talks to other groups who are interested in setting up a clean team and we can now put on a very professional display using the latest digital technology. 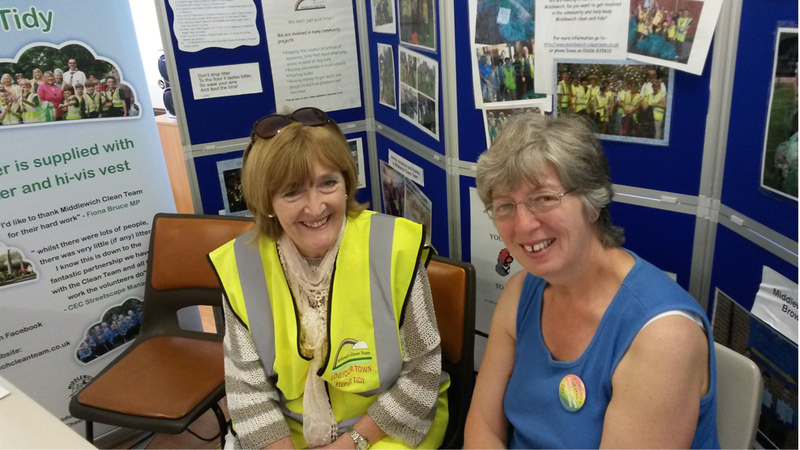 We have already used the equipment to show our work to residents of Winsford and to put on a display at the Middlewich local volunteers event at the Wych Centre when a rolling presentation was given." In addition, the Team has purchased a high volume laser printer which is to be used, amongst other things, to produce publicity material. Raising awareness in this way is definitely working it has resulted in new recruits to the Clean Team. Chairperson, Janet Chisholm said, "It is our aim to set up clean teams all over the country. We have been successful in Cheshire East with litter groups being formed in all the major towns and a number of towns in Cheshire West and Chester and elsewhere in the Country are now beginning to follow suit."